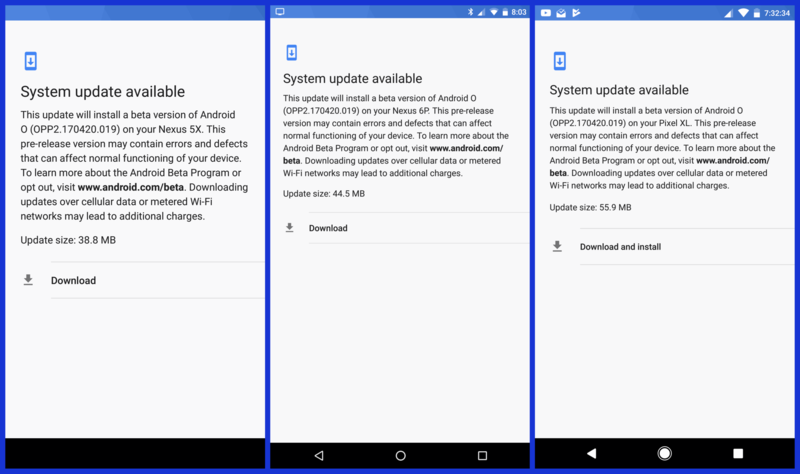 Android O's second developer preview was only released yesterday, but Google has already released an update for it. We're getting bombarded with tips from readers with Nexus and Pixel devices alike. This update reportedly somewhat fixes Android Pay, which did not open at all on yesterday's version. However, it appears that Nexus devices are having trouble updating. This OTA bumps the version number to OPP2.170420.019 and is weighing in at anywhere between 38.8 and 55.9MB, depending on which Google device you have. One tipster informed us that Pay is no longer throwing him an 'unsupported in this build' message and shows him a normal screen with his cards, but hasn't tested whether they're working or not. It appears that Pay has been fixed via a server-side update, which is why some people who have had trouble updating their Nexuses can now use the Pay app. A rare, successful install on a Nexus 6P. Factory image and OTA downloads are not yet available. 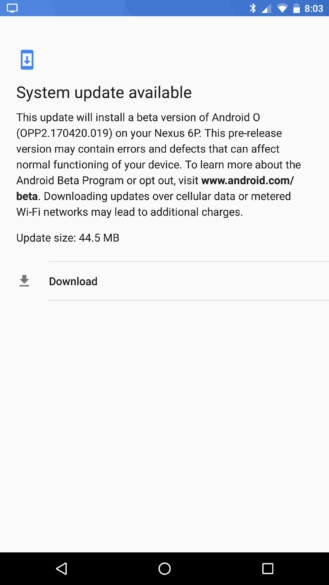 An official post in the Android Beta Program Google+ page states that the update will hit all devices currently enrolled in the preview within the next few hours, but given the installation failures that Nexus devices are seeing, it's likely to be halted. We'll update this post with more information when we get it. 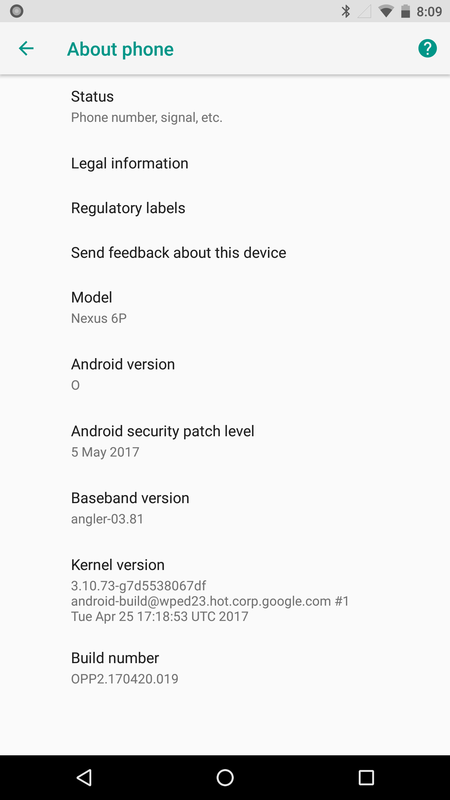 Google is now sending out a full OTA, measuring in at around 1GB, to Nexus devices that were unable to update due to the incremental flash fail. Additionally, 0.019 factory and OTA images are now available to download.